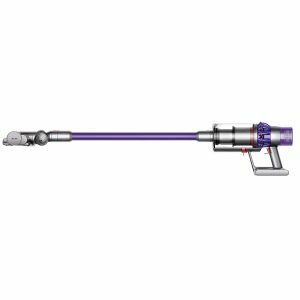 Amazon has a Dyson Cyclone V10 Animal Lightweight Cordless Stick Vacuum Cleaner. Only $499.00 (reg. $599) with Free Shipping. Rated 4.1 out of 5 stars. The most powerful suction of any cord-free vacuum. Tested to ASTM F558, against cord-free stick market. Lightweight and versatile, to clean right through the home. Instant-release trigger means battery power is only used while it’s cleaning. Requires charging for 3.5 hours minimum before first use. Torque drive cleaner head – our most powerful yet. Up to 20 minutes of fade-free power (in Suction mode II). Drives stiff nylon bristles into carpets to capture deep-down dirt. Powered by the Dyson digital motor V10 and engineered to pick up ground-in dirt and fine dust from hard floors and carpets. Quickly transforms to a handheld vacuum, to clean all around your home and car.